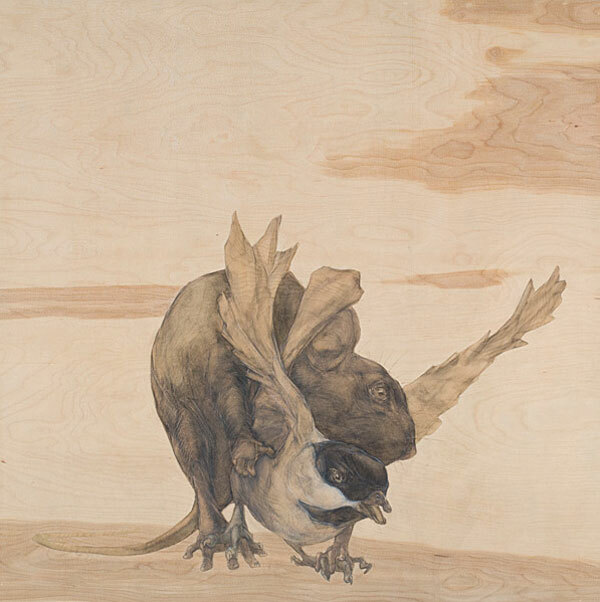 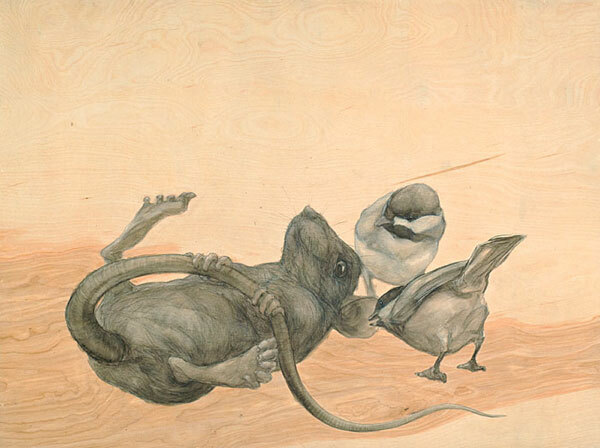 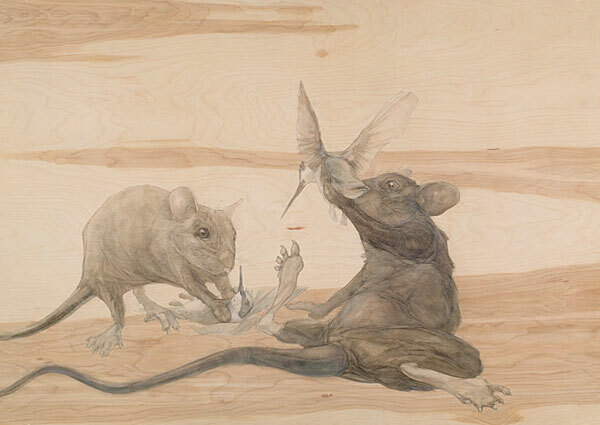 Paintings of rats, chickadees, and hummingbirds in a state of conflict. 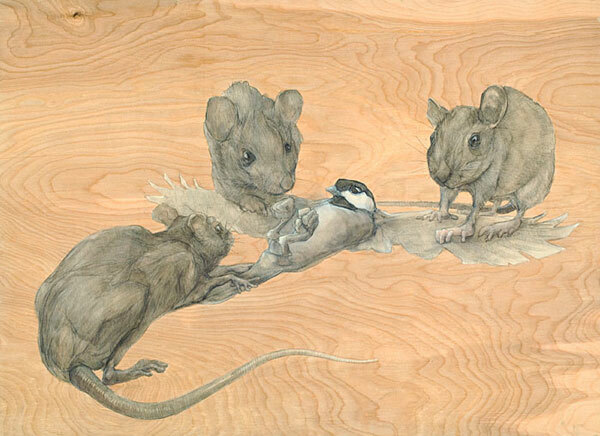 One of my objectives as an artist is to bridge conflicting views by revealing shared concerns and common ground. 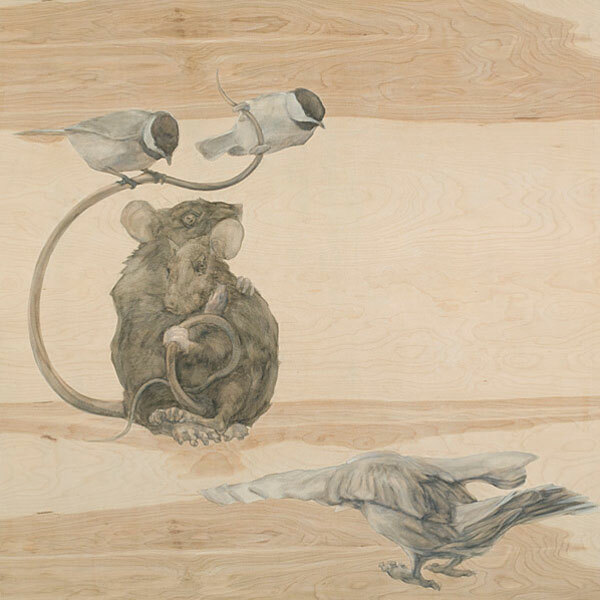 The basic desire to find and maintain security, whether in a home, job, or relationship, in a forever shifting landscape, can create more losers than winners. 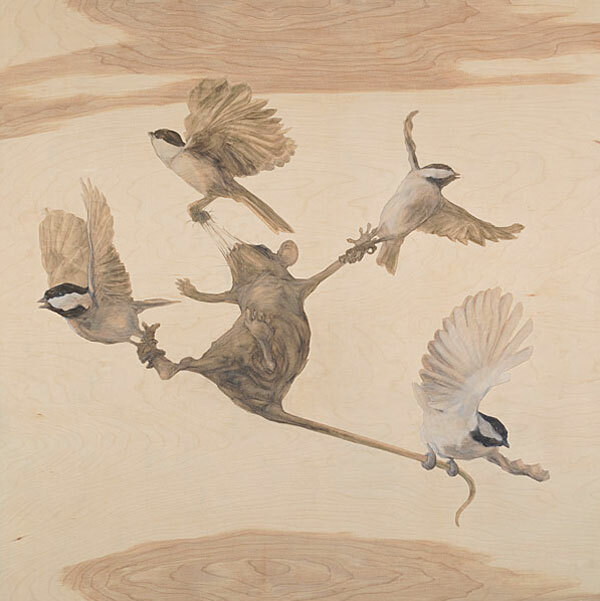 Using a cast of chickadees, rats, and hummingbirds, my current work navigates the gray areas and middle grounds inhabited by animals with competing interests.